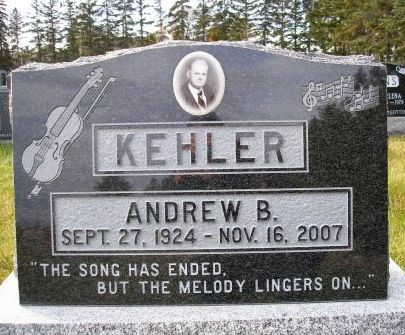 Suddenly on November 16, 2007, at his home in Steinbach, Andrew Kehler passed away at the age of 83. Andrew worked for Versatile Farm Industries for 15 years. He leaves to cherish his memory three brothers and six sisters: Henry and Mathilda, Helen and Leonard Unger, Nettie and Rev Cornie Peters, Peter and Helen, Bill and Tina, Eva and Jake Schellenberg, Anne and Rev. Jac Doerksen, Tina and Bill Bergen, Frieda and Ed Neufeld, sister-in-law, Sara Isaac, as well as 44 nieces and nephews and their families. 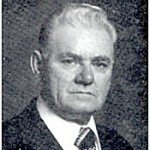 Andrew was predeceased by his father, Rev. Peter S. Kehler, mother, Katharina Blatz Kehler, infant brother Jacob, sister Mary Isaac, and brother-in-law Aaron Isaac. Friends may pay last respects at Birchwood Funeral Chapel, 150 Penfeld Drive, on Tuesday, November 20 at 7:00 p.m with a devotional at 7:30 p.m. The funeral service will be held at the Chortitzer Mennonite Church, 479 Hanover Street, Steinbach, and Wednesday, November 21 at 2:00 p.m. Interment will follow at the Memorial Cemetery, Steinbach.